These first few days with our little guy have been so sweet as we get to know each other, figure out our new routine, and take care of him. 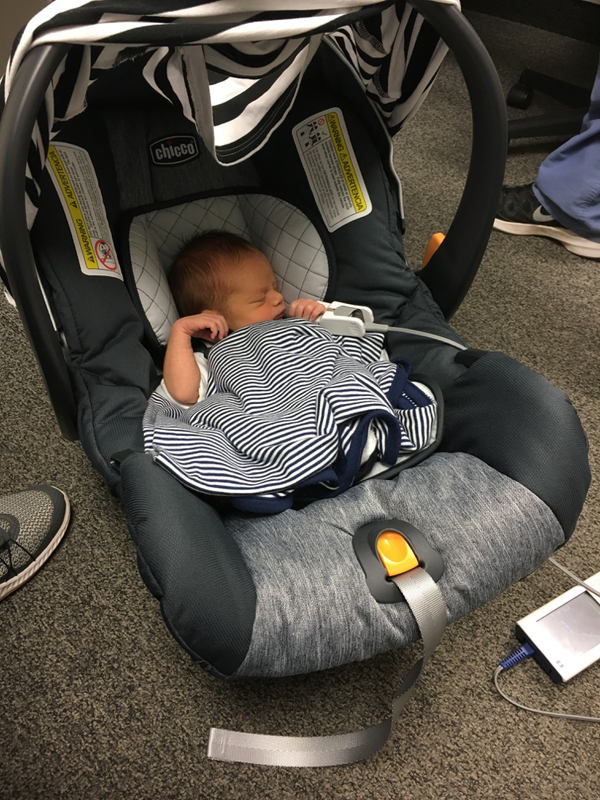 The whole thing still feels surreal — especially when we left the hospital with a cute little baby in a car seat! Each day we fall a little more in love with him (and also become a little more sleep deprived, ha ha!). 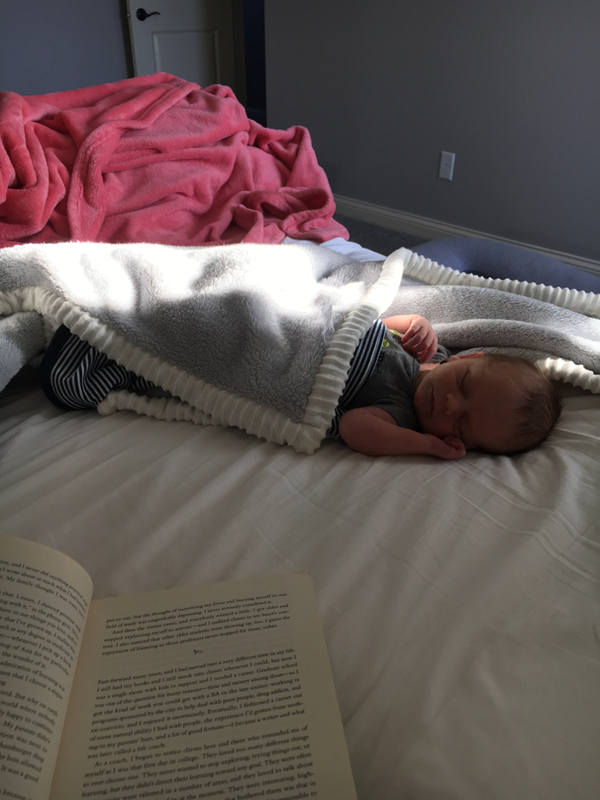 Our days are filled with newborn cuddles, reading books to him, feeding, changing diapers, and learning his preferences. 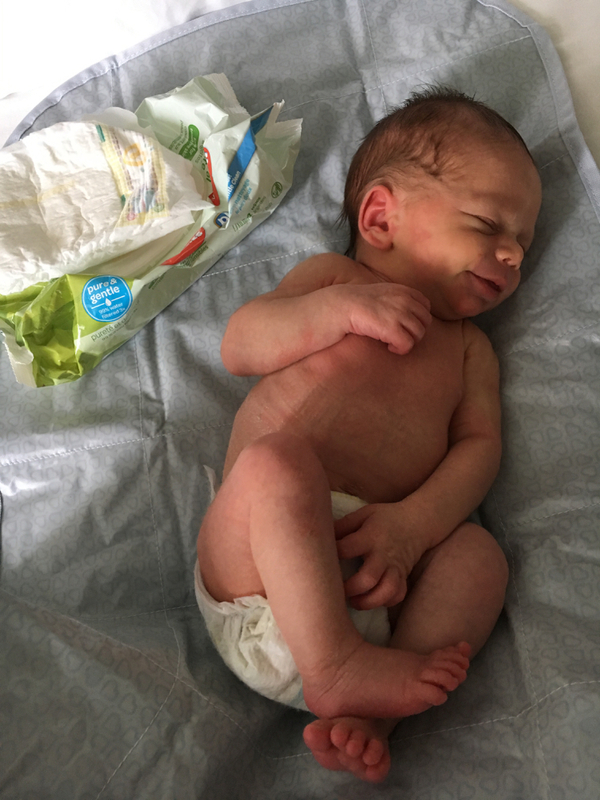 We also do a LOT more laundry — one of the first few days at home we forgot to cover him while we were changing a diaper and I kid you not, there was a stream two feet straight up in the air! Not much is getting done around these parts other than taking care of him and that’s totally okay. I think there’s something wonderful in having a new baby as it teaches you to really slow down and enjoy the little things. On that note, Andy had to run out the other night for an errand and so I had a little picnic on our bedroom floor so that I could keep Fletcher company as he relaxed before bed. It’s little moments like these that just make my heart so happy. He loves to sleep on our chests, go for car rides, hang out in his monkey seat, and listen to the music that his Lambie plays. We quickly discovered that he really does not enjoy diaper and outfit changes mainly because our hands are always SO cold! He’s a little peanut so a lot of his newborn clothes and diapers are a touch too big but we have so much fun choosing his outfits each morning! My little niece asked my sister what Fletcher would wear now that he is “out of Lolo’s tummy” so I sent her a pic of his outfit of the day. Upon seeing the photo, Becca commented “His pants are so big! Are they Andy’s?” hahaha. She also asked if there was any leftover cake from Fletcher’s birthday. The things that little kids say just crack me up. I’ve been surprised to discover that he’s actually a really good sleeper right now (definitely anticipating this changing in the near future though!). He really doesn’t fuss when we put him down and he only wakes up a few times on his own in the night. Right now he’s eating every two-ish hours in the day and every three hours through the night. Andy’s been home on paternity leave and it has been so helpful to have him here as we figure everything out as a new little family of three! We take what feels like a million pictures of him each day and as I was looking back at the photos from when we first brought him home, I feel like I can already see so many changes just one week later! He has definitely filled out a little more — especially in his cheeks and hands which is great because it means that feeding is going well, but it has also made me realize how we really need to take each day as it comes and truly cherish it because babies / kids grow up so fast! I know there’s a lot of postpartum hormones a-flowing right now but the other night I picked him up and realized that his umbilical stump had fallen off which immediately made me cry because “he’s getting too big too fast” hahaha. Fletcher had his first bath in the hospital and we’ll probably give him another one tonight because his hair is getting so greasy from me petting it all day long, hahaha. 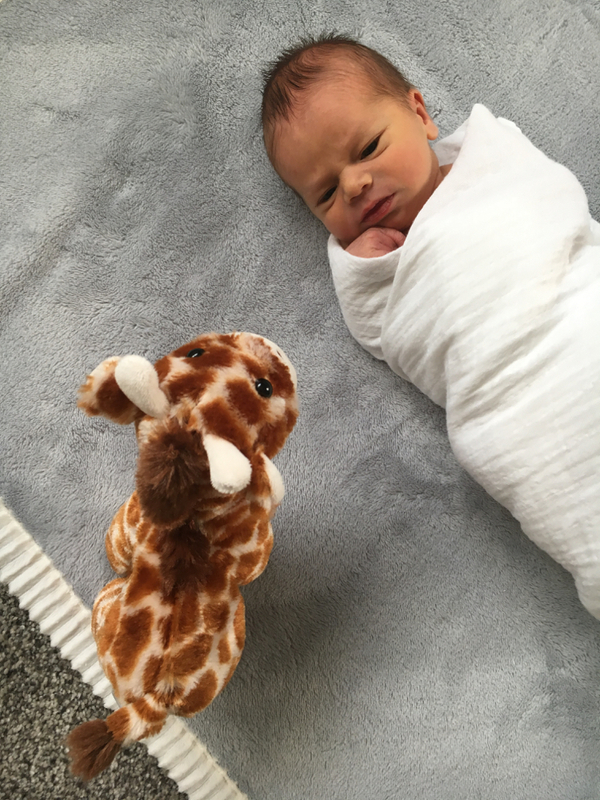 As far as outings go, he’s been to his pediatrician twice — once for his newborn visit and again for a lactation consult as well as a trip to the chiropractor for his very first adjustment. I know that people have different views on taking their baby / children to the chiropractor but this is something that is important to us and will be a regular part of his life as he continues to grow. Also, on the way home from the chiro, I caught a blurry pic of his little smile (which, let’s be honest was probably gas) and it just made me so happy! I love this little boy so much! I’ll cover this more in-depth in his birth story or a postpartum post, but my recovery has been so easy compared to what I was anticipating. I’m such a go-go-go person, so sticking with parts of our usual routine has helped me to feel most like myself even with all of these changes going on. For example, showering and getting dressed / applying makeup, eating healthy meals, and taking naps have been key factors in our household running as smoothly as possible. And lest you think we have this whole parenting thing all figured out, guess again. Our master bathroom counter currently looks like this and some days we both look like zombies due to being up 3 or 4 times each night for feedings / diaper changes / soothing him back to sleep. It’s still just so crazy that he’s finally here and that this little boy is ours! We just love everything about him! Let me know if you guys are interested in some sort of postpartum / 4th trimester post! If so, what are some questions about that topic that you’d like me to cover?